Then came the 9th official announcement with surprise Mizuki and she immediatly caught my eyes, she's one of the reasons i didn't quit the Hello!World at that time. So now, 2 years later, where are we ? I have to admit that, althought i wasn't too looking forward the 9th gen, it's now have become my favorite. Maybe it's because it's the first gen that i saw debuting (i came Nanchatte Renai single) but Riho's ace status, Zukki's cheerful personality, Eripon's golf skills O_o (actually, she's a bit like Kamei to me, she's got a lil something that draws your attention, but can't really put my finger on what) and ofc Fukuhime's presence (that is enough in Mizuki's case -P) make then a really strong group. 6th gen had systematic MC at MM events, as far as i know it's not the case for 9th, but they would totally deserve it ! About 10th, I have do admit I'm still getting used to them. I suppose the High School Group that's starting to form (Ayumi, Iikubo, Mizuki) and the fact that 9th/10th gen are often together will help me get to know them better. But anyway, i have nothing against 10th gen, just like 9th more O_o. About Oda Sakura, she's too new to the group for me to make a judgement. Musically speaking, I loved the singles during the platinium --> Juuichi Era, save maybe for Kimagure Princess. I find Maji desu ka ska to have been the perfect start for the 9th gen. The next 3 singles, up to Pyoko pyoko ultra, I found so so, was blaming the chances that were happening in MM for it (change in the age range of members, Takahashi departure, 10th gen). Then came Renai hunter, fell in love with the first few notes. As i was still happy with it came One.Two.Three. Slight electro style, more mature looks made it a hit for me. Wakuteka take a chance follow that trend, so it's all good to me ! To sum it up, the new girls are starting to settle in + Tsunku having a good inspiration = Morning Musume future is looking bright. Welcome to the COLORFUL ERA ! And you ? what are your views on it ? PS: Actually, don't have the Colorful album yet (shame on me T-T), but I have no doubts it's great. I'll be getting it soon at the Paris Handshake event, meet you all there maybe ! Now, this is just a question that I've been pondering for a while so please do not take it as an attack. This is just dealing with psychology. Do you think that when you say that you were scared for the future of Morning Musume, you may have been more scared for your fandom ending instead of actually being scared for the group ending? I just ask because there have been many times where a key player (or players) have left Morning Musume; yet, they've still held on. No, not the top spot ALL the time; but they've kept their own on the charts. I've also noticed that other fans have said pretty much the same thing that you said when they watched their favorite leave, questioned the newer members coming in; but found another member that quickly either became or started to become their favorites and they kinda renewed their love all over again. I've seen how different generations have shaped the singles. It seems like they're all different but they all have that uniqueness to them that makes it a Morning Musume song. 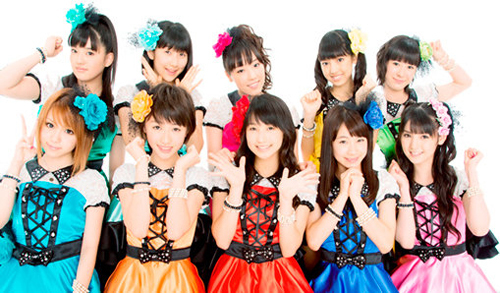 There is an evolution of Morning Musume and I think that's what makes them awesome. For me, I like the songs from 1st to 5th gen, I'm not that keen on the songs from 6th to 7th, and I really liked the songs from 8th to now. But that's just my taste. It's not that the songs are bad, I just find I'm listening to songs from 8th gen to the present more than all the other songs (but there's always room for me to listen to Happy Summer Wedding and Renai Revolution 21). ^ I picked up MM when it had the most stable line-up (save for Koharu, but i was new at the time, didn't have too much impact on me), so it was the 1st graduation I lived. I was genuinely scared for the group more than my Idol fandom (also huge fan of C-ute here, could always fall back on that). I just didn't see how 12-14 yo could replace adults in terms of appeal, but i now understand a bit more on how the system works and how they manage to keep strong. I felt similar with the triple graduation. My #2 and #3 favourites were leaving and they were bringing in new girls that we had to adapt to after not having any new ones after 4 years but after seeing the girls and their skills, I grew to like them especially Riho and Mizuki. I got into Morning Musume around Aruiteru so I wasn't surprised at the addition as I believed they needed new girls since later 2008. I love 10th generation more though. When you said Juuichi era do you mean the album?